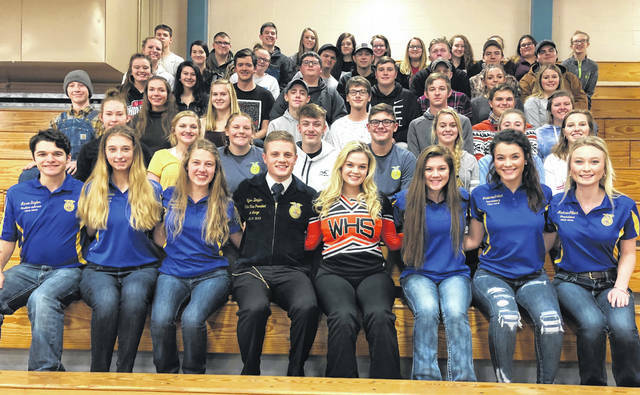 Tyler Zimpfer, State FFA Vice President at Large, visited the Wilmington FFA Chapter on Friday. He held workshops with the members on a variety of topics such as creating a positive outlook, time-management skills, and leadership skills. He also visited and offered advice to the Wilmington FFA Officer Team, helped freshman FFA Creed speaker Jayden Doyle, and much more.